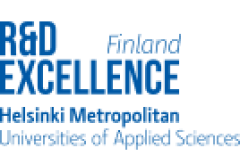 In the beginning of 2017, three universities of applied sciences in the Helsinki Metropolitan Area – Haaga-Helia, Laurea and Metropolia – formed a strategic alliance focused on modern learning and RDI activities that serve the needs of working life. RDExcellence, their collaboration, searches for new solutions that anticipate social changes and yet-unrecognised competence needs. The collaboration is aimed at producing added value by creating new kinds of competence clusters that support the operational preconditions of industry and commerce, businesses and society.